WELCOME HOME! Hardwoods & open staircase greet you. Beautiful traditional to enjoy holidays in formal dining & living rooms w/GAS FP. Upgraded stainless island kitchen w/eating nook opens to greatroom w/2nd GAS FP. 4th BR/Office has built-ins & Murphy bed. 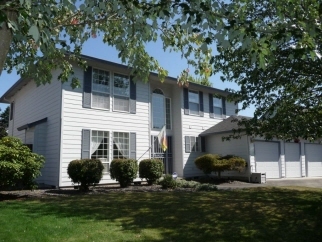 Large private fenced yard w/mature landscaping, covered patio, greenhouse-a gardener's dream. Immaculate & move-in ready!